At the end of the 80s transcribing music by hand was still the norm for the common musician. Good calligraphy skills were essential to survival. Now, 30 years later, calligraphy skills are the last thing on a musician’s mind. Instead, we look for the best (and, let’s face it, the cheapest) music notation software we can find that can do it for us. Can we play the music in rather than enter it note by note? Can we share the music in multiple formats? Does the final product look professional, like something you would pull off the shelf at a music shop? Sibelius and Finale are the two primary professional music notation tools in the business. Other things exist around the web, and a simple Google search will give you quite a few options, both for a price and for free. 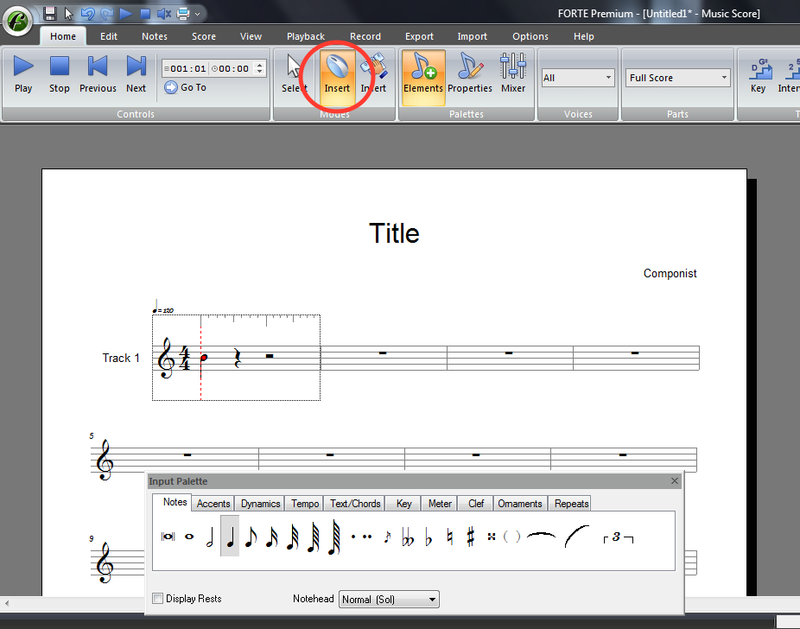 You can compare many different music notation products here. Have I tried Sibelius? Yes . . . for about 5 minutes, which doesn’t count. I began using Finale in 1992, when I began studying music composition at the University of Florida. Version 1.something on a tiny screen. It was horrendous and a headache. While you could print out beautiful music, you were just as likely to have slurs that disappeared off the bottom of the page and a million other bugs. The birth of Finale, and as is the case with nearly every software package, was messy. Because I have been using Finale for 20 years, however, I have gained a certain comfort with the idiosyncrasies of the software. I have also gotten to the place where I am fast and effective on Finale, which is key when you have to punch out a last minute orchestral arrangement, cello part, or rhythm chart. Finale’s speedy note entry method using an extended keyboard is very effective and quick. I punch in the note value with my right hand using the number pad (4 = 8th note, 5 = 1/4 note, 6 = half note, etc. ), and then I use the up and down arrows to guide the cursor to the proper line or space on the staff. Entering lyrics is just as fast. I can type the lyrics directly into the score, and if a section of text is repeated, I can assign the previous lyrics to the new section through Click Assignment. The sound library (Garritan Orchestra) is beautiful, and helps as a review tool. The Setup Wizard is very helpful and speeds up the beginning process. The templates are also very handy. 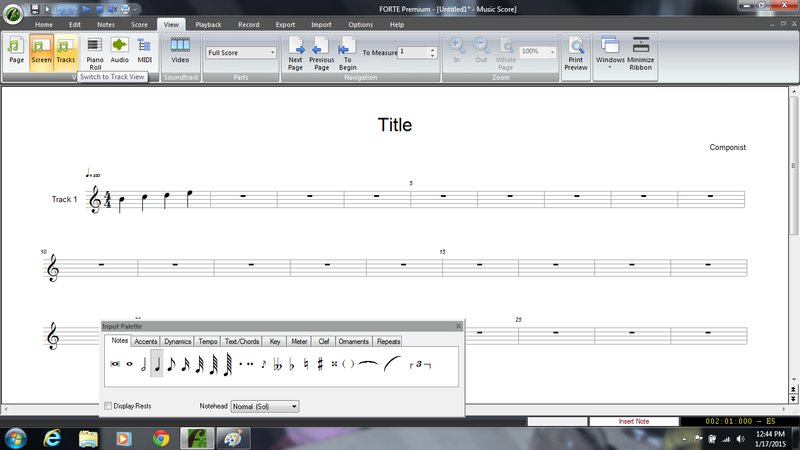 The desktop view of the score is clean and uncluttered, and you can modify the look to your taste. One of my immediate dislikes for Sibelius was seeing the obnoxious ledger lines floating across the screen. An “off” button probably exists for that, but visual impressions are huge for me and that detail completely cluttered the screen. You can sculpt the score view to whatever you need using Staff Sets as well as the standard view options (Scroll, Page, and Studio). Every detail in Finale is adjustable if you know where to look (more on that later). My final scores look professional. Finale is very powerful and the printed products can go right onto the shelf for sale. Here are a few samples of my work in this post How to Chart a Song. The individual parts of a score are actually part of the main file. In the past, when you broke out individual parts, Finale created new files for each instrument. Now these files (Linked Parts) are created internally within Finale, and they are interlinked with the main score. This linkage is very helpful in tying together the details of the piece rather than going from part to part making individual adjustments. I run into very few bugs. When I did hit a bug in Finale 2010 (when I quit the program often I would get a deafening screech from my speakers), MakeMusic (makers of Finale) sent me the brand new Finale 2011 with the fix completely for free. Finale has a huge learning curve. Usually power brings complexity in learning. Finale’s Print Music has a lower learning curve, but it also has fewer features. The same will be the case for free music notation options on the web. You have to know where to look. Almost everything is adjustable, but sometimes it takes some time to figure out how to adjust a feature. In my last position I needed to change how I was charting songs to fit the preferences of the team. I needed to create separate vocal and rhythm charts, rather than one chart with both staves. In order to make this change I had to learn how to make certain details show in one score and not another, something which I had not had to do before. After fishing and experimenting around for a while I finally figured it out, and now I am quite swift at the process. Editing the instruments is difficult and counterintuitive. The Garritan Orchestra sounds are very good, but if you choose to set up a score manually rather than using the setup wizard, configuring the sounds can be downright challenging. Heaven help you if you try to change things after the piece has been set up. I tolerate the downside of Finale for the enormous power and speed Finale offers. I also need the extended capabilities of an industry standard software package. 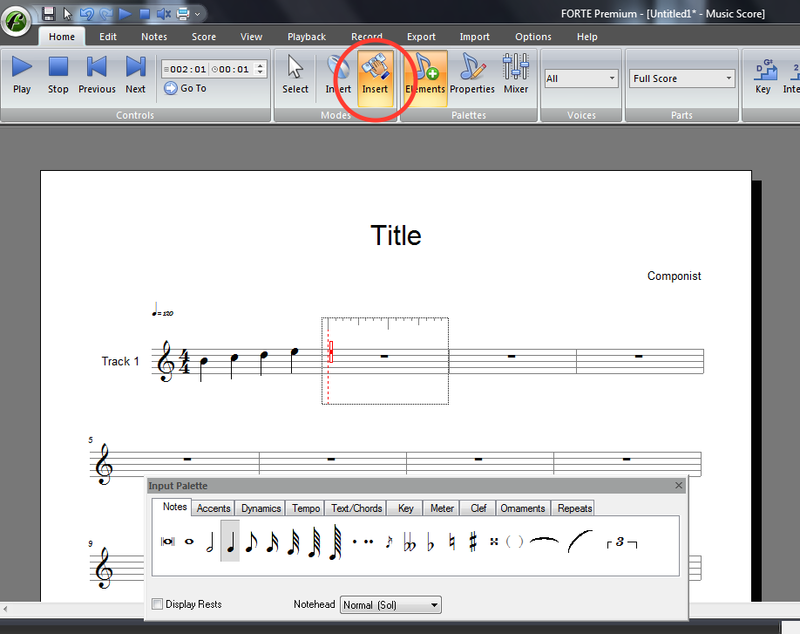 You may have different music notation software needs. If you are going to produce scores for orchestras, detailed charts for bands, and other music like that, then Finale is for you. If you simply want to write out some melodies or songs you came up with, get something else. 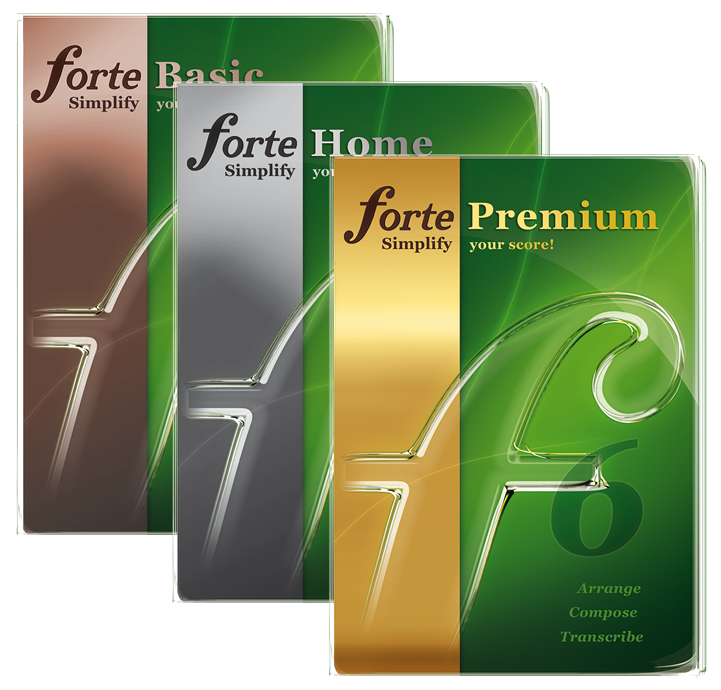 Get Print Music or another program; Finale is way too much horsepower and price for what you need. Are you a Finale user? What tricks of the software can you share with us?